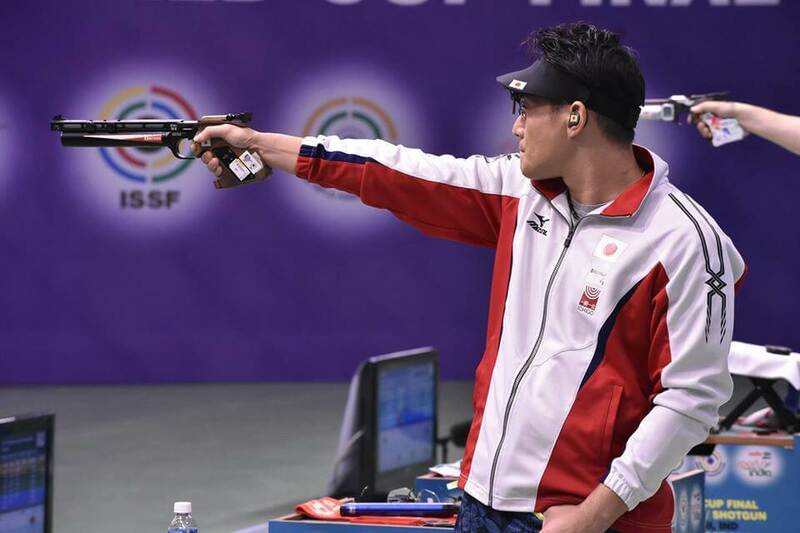 Ace pistol shooter Jitu Rai, failed to qualify for the finals of the Men’s 10m Air Pistol at the ISSF World Cup Final in New Delhi. After winning gold along with Heena Sidhu in the 10m Air Pistol Mixed Team on the opening day, Jitu was way off the target as he could only manage a qualification score of 572 (94,96,96,97,95,94) to finish 9th among 10 shooters. Incidentally the 2016 Rio Olympic gold medallist Vinh Xuan Hoang also missed the cut after shooting a below par score of 568. Japan’s 41-year-old Tomoyuki Matsuda, the eventual winner, was also not impressive in the qualifications. The former World Champion could only manage a score of 573 but was still good enough today to qualify for the finals as the 8th shooter. However once in the finals, there was no looking back for Matsuda who shot some very good tens, finishing with 241.8 points to claim the gold along with a new World Record. The 19-year-old Ukrainian sensation Pavlo Korostylov won the silver after shooting 241.1 points and in the process also equaled the Junior World Record. Pavlo’s more experienced teammate Oleh Omelchuk took the thir place of the podium with a score of 218.8 and adding it to the World Cup Final gold he had won in Bangkok in 2008 and to the bronze he had won in Munich in 2013. Men’s 10m Air Pistol: 1. Tomoyuki Matsuda (JAP) 241.8 (WR) (573); 2. Pavlo Korostylov (UKR) 241.1 (EJWR) (583); 3. Oleh Omelchuk (UKR) 218.8 (585). 9. Jitu Rai (IND) 572.